Our stunning chiffon and jersey dress that looks as if you’re wearing a blouse and skirt. The luxurious number of frills frames the face beautifully. Pair with the matching jacket to instantly create a gorgeous look. Pair with the matching jacket to create a suit look for business occasions. Wear on its own for the perfect party look. The top of the dress is a light and airy stretch chiffon, while the fabric of the skirt is crossed to add a look of composure while ensuring more coverage. 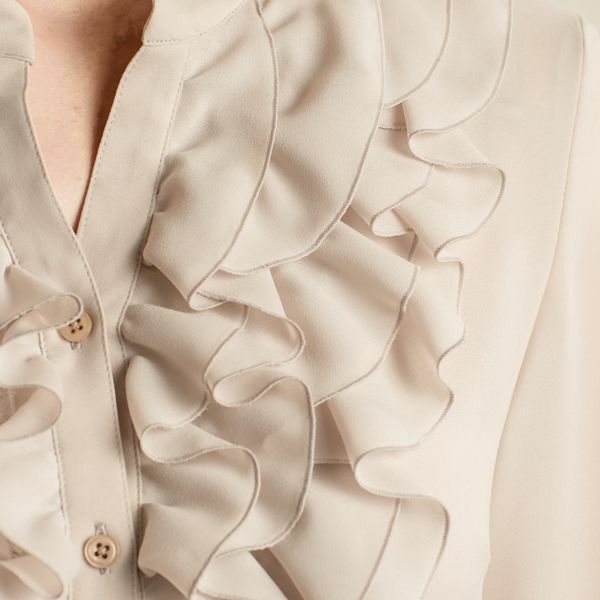 The frills are cut in escargot shapes and gathered lavishly, giving stunning movement to the piece. 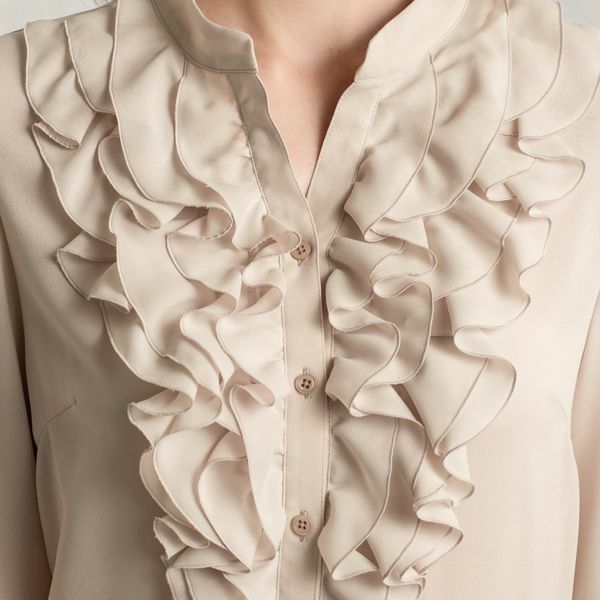 The merrow stitching technique on the beautiful stretch chiffon frills gives the piece a touch of luxury and class. Highest craftsmanship and meticulousness of our artisans made this step possible.